I know I’m not the only supporter of food choice who is frustrated because much of the news in the mainstream media about raw milk seems to be negative and often inaccurate. I know I’m not the only one who is tired of complaining, and wants to do something about it. But do what? Is it even possible to counter the huge resources of the government and dairy processing industry, which together with the mainstream media, seem intent on spreading as much misinformation as possible.? For example, Time Magazine in December seemed to take joy in reporting on a CDC study that said outbreaks involving raw milk had quadrupled over the most recent six years, from an earlier period. 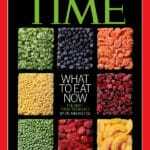 “This Is One Health Trend You Don’t Want to Try” headlined the Time article. The December barrage from Time, and other major media, in December was only the latest such questionable reporting on raw milk. We have seen deeply flawed reports from the CDC and FDA on raw milk illnesses and the supposed dangers of raw milk and raw milk cheeses, reported nearly verbatim by the mainstream media. It’s no surprise then, that we learn via a survey released by Oklahoma State University in January, that 59% of those surveyed want a complete ban of raw milk, way more than those who want a ban of marijuana. 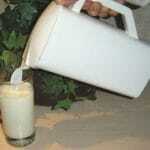 Creating confusion about the nutritional risks, or benefits, of dairy products is nothing new for the dairy industry. Cornucopia Institute has several times taken dairy producer Dean Foods, the nation’s largest dairy producer, to task for misrepresentations about production practices of its “organic” milk, alleging that cows aren’t raised according to organic standards. Counter misleading information with accurate information. In other words, package truthful and honest information about raw milk—the good, the bad, and the ugly—into an engaging format that people can quickly and easily absorb. Get lots of people who care about food accessibility to join in supporting the dissemination of this information, as a way to bypass the mainstream media. I have been a journalist for more than 40 years, and thus have considerable experience communicating information. I decided to write a book that explains in clear non-inflammatory language the realities of what has been happening—the pros and cons of raw milk. My goal is to get that book into the hands of as many people as possible who are interested in learning more about raw milk. In order to fulfill that last goal of getting the book out to as many interested people as possible, I decided to do something different—not go the conventional-commercial-publisher route, but instead publish the book myself. My reasoning was to be able to offer the book at a more reasonable price than commercial publishers are inclined to do. I also wanted to be able to donate proceeds to organizations that share the same goal. Most important, I wanted people who are as frustrated by the government-industry misinformation campaign as I am to be a part of getting the book out into the marketplace, directly to people who merely want accurate and truthful information about raw milk. I just completed writing the book, which I have entitled The Raw Milk Answer Book, and the initial response from a diverse group of reviewers, including farmers, researchers, academics, medical people, and consumers has been very enthusiastic. 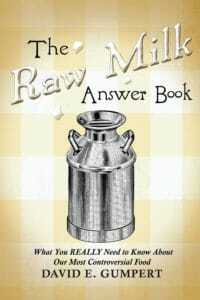 Virginia farmer Joel Salatin said the book “churns out every answer to every conceivable question in the raw milk controversy,” and he called it “a delightful must-read. So how do we get the book’s important message out to the people who want it and need it? One way, I decided, was via a crowdfunding campaign, to help get the book noticed on Amazon and enable me to launch a publicity campaign.. Any support, big or small, is greatly appreciated, Plus, you’ll receive some awesome rewards in return, including the first copies of The Raw Milk Answer Book, along with a number of interesting and unique food and farm-related rewards. In addition, a portion of your support will go to the Farm-to-Consumer Legal Defense Fund Foundation. We have an opportunity to reverse the misinformation campaign. It’s easy to take action. Support the crowdfunding campaign. And let’s make some history. David E. Gumpert is author of the forthcoming Raw Milk Answer Book (available this March), along with two previous books about food rights: The Raw Milk Revolution and Life, Liberty, and the Pursuit of Food Rights. He writes the popular blog, www.thecompletepatient.com, which has for years highlighted government harassment of raw dairy farmers and misinformation about raw milk.